This is the collection of my daily work. 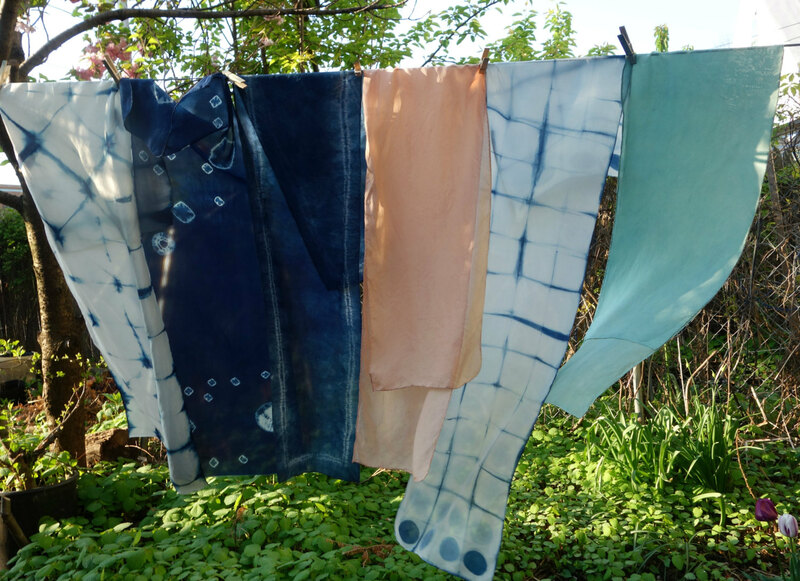 Included here are naturally dyed fabrics, up-cycled vintage table linens, hand made quilts and special seeds from the garden. I love to experiment with indigo, madder roots, walnut hulls, and other leaves and flowers grown in our backyard, or gathered on walks around the neighborhood. Some of my favorite materials are the vintage silks, cottons, wool and linens, mellowed, yet still strong, discovered at estate sales, yard sales and thrift shops. In my little workshop these textiles become quilts, pillows, naturally dyed table linens and Christmas stockings. My Mother taught me to love milkweed. This site is named in her honor. My Grandmother taught me to look for "The color underneath"
This practice has led to my fascination with and inspiration by the pure colors in the backyard garden. For me, the natural world is the best teacher. Though my stitching isn't always perfect, the colors and textures are! I remind myself that there are no straight lines in nature. Please feel free to ask questions or offer suggestions.